The features of PCOS may be elicited when obtaining the medical history or upon the physical examination. The ovarian morphological and the biochemical and metabolic features of the disorder are discussed in Chapters 16 and 17. The evaluation of patients with androgen excess, including PCOS, is discussed in Chapter 33. In this section, we will outline important information that the medical history will elicit concerning the features of PCOS, including the presenting complaint, the onset and progression of hyperandrogenic signs and symptoms, menstrual dysfunction and irregularity, weight gain, symptoms of obstructive sleep apnea, and the family history. Patients with PCOS may present complaining of irregular or unpredictable menstrual cycles, unwanted hair growth, acne or scalp hair loss, or unexplained weight gain or overweight (see Section 2.1.4.). Another frequent presenting complaint of PCOS may be infertility, possibly associated with recurrent first trimester miscarriages. Approximately 30-50% of PCOS patients will complain of infertility at the time they are seen for their first visit (1,2). The timing of the development of symptoms is important in assessing the etiology of hyperandrogenism. As such it is helpful to have the patient's mother present for at least initial part of the evaluation. A history of perimenarcheal changes in skin quality, such as the development of seborrhea or acne, the darkening and coarsening of hairs, or the appearance of new unwanted hairs, is common in patients with PCOS. A history of premature adrenarche or early pubarche may also be elicited (3) as well as a history of low birthweight (4,5). Nevertheless, the prevalence of these abnormalities of birth and pubarche among women with PCOS remains to be determined. The development of hyperandrogenism in PCOS is usually associated with a slowly progressive clinical history and stable symptomatology by the mid to late 30s. As patients enter the fourth decade of life, their symptoms may improve, possibly associated with a decline in circulating androgen levels (6). Alternatively, the rapid development of symptoms, including hirsutism, oligo-amenorrhea, severe acne and alopecia, increased muscularity, and clitoromegaly, is indicative of a virilizing syndrome, most commonly caused by an androgen-producing neoplasm (7). Finally, the use and abuse of anabolic or androgenic drugs and the use of medications that may promote hair growth, albeit primarily vellus in nature (e.g., phenytoin), should be considered. PCOS accounts for 75% of patients with anovulatory infertility (8,9), 30-40% of secondary amenorrhea, and 85-90% of women with oligomenorrhea (10). In turn, ovulatory dysfunction affects a high proportion of patients with PCOS (80-100%, depending on criteria), and in a large series of patients diagnosed by varying criteria 75-85% of PCOS women demonstrated clinically evident menstrual irregularity (2,11,12). In agreement, in a prospective study of PCOS patients diagnosed among 400 unselected women from the general population, approximately 60% of the patients had clinically evident menstrual dysfunction (13). Menstrual dysfunction is usually characterized by infrequent or absent menstrual bleeding, usually not preceded by premenstrual symptoms that may include mood changes, bloating, or breast fullness or tenderness, suggesting anovulation (14,15). Oligomenorrhea is generally defined as menstrual cycles (or more accurately vaginal bleeding episodes) at no less than 35-day intervals or no less than10 bleeds per year (16,17). More subtle changes in menstrual cyclicity may occur in PCOS, including intermittent anovulation and associated dysfunctional uterine bleeding (18-20). As PCOS patients enter the fourth decade of life, their menstrual function often becomes more regular (21). Not all PCOS patients demonstrate a clinically apparent abnormality in their cyclic vaginal bleeding pattern. Although many patients and clinicians refer to these bleeding episodes as "menses" or "periods," strictly speaking the term menstrual period properly refers to the cyclic vaginal bleeding that results from the estrogen and progestogen decline (withdrawal) that occurs at the end of the luteal phase of an ovulatory cycle in women who do not conceive. Up to 40% of women with oligoovulation secondary to PCOS can actually present with a history suggestive of "normal menstruation" (i.e., eumenorrhea) (22,23). Consequently, the periodic vaginal bleeding that occurs in women suspected of PCOS cannot be taken as proof of ovulation until proven. An adolescent history of erratic or infrequent menstrual cycles often predicts the development of PCOS. Van Hooff and colleagues followed a cohort of 766 adolescents beginning at age 15 through age 18 (24). They noted that 2% of adolescents who initially had regular menstrual cycles developed oligomenorrhea, and 12% of those with irregular menstrual cycles did so; notably, 51% of the adolescents who were oligomenorrheic at 15 years old remained oligomenorrheic at follow-up. An increase in body mass index (BMI) or luteinizing hormone, androstenedione, or testosterone (T) levels and the presence of polycystic ovaries were associated with persistence of oligomenorrhea, although in a multi-variate analysis only the BMI consistently contributed to predicting the persistence of oligomenorrhea. Peripubertal weight gain and the early development of obesity can be associated with the development of PCOS. The perimenarcheal onset of symptoms in PCOS is common, but this may occur later with development of a significant increased weight gain, and the latter is often an inciting factor in the development of menstrual dysfunction and cutaneous signs of hyperandrogenism. As noted by van Hooff and colleagues (24), BMI is a predictor of the persistence of oligomenorrhea into adolescence and presumably the development of PCOS. However, in this study both obese and normal-weight oligomenorrheic adolescents were at high risk of remaining oligomenorrheic. Studying 230 young women ages 18-25 years, Michelmore and colleagues noted that the BMI was slightly, but significantly, higher among girls with compared to those without, PCOS (25). Overall, peripubertal or adolescent obesity is a modest predictor of the development of PCOS. 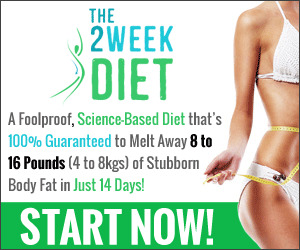 Although any weight gain is of concern, the rate of gain that should elicit concern is less clear. In a study of 5117 individuals followed for 20 years beginning in 1971, white women ages 25-35 years at baseline gained 7.7 kg over the study period, or 0.39 kg/year (i.e., 0.85 lb/year), whereas black women of the same age gained 10.9 kg, or 0.54 kg/year (1.2 lb/year) (26). In populations at high risk for obesity and insulin resistance (e.g., Pima Indians) this weight gain was higher (1.4 kg/year or 3 lb/ year), a gain that was primarily attributable to baseline total energy intake (27). In contrast, most women with PCOS will relate a history of either a sudden gain of 14-36 kg (30-80 lb) or more over a period of 6-12 months or, more commonly, a persistent gain of 4-7 kg/year (10-15 lb/year) for the previous 5-10 years. For example, Norman and colleagues found that obese, infertile women presenting to a weight-loss program aimed at improving fertility had experienced an average weight gain 10 times that of the normal population (28). Weight gain in affected patients may be associated with the development of pilosebaceous symptoms and menstrual irregularity. Weight gain that is primarily centripetal, especially if associated with extremity wasting, purple striae, easy bruisability, moon facies, and rubor, suggests the presence of Cushing's syndrome, and these patients should be appropriately screened using 24-hour urinary-free cortisol levels or a cortisol level following an overnight dexamethasone suppression test. Other information that should be sought includes the patient's awareness of her body fat distribution, as women with PCOS have a greater prevalence of abdominal obesity (29). Weight gain may also be associated with carbohydrate craving and evidence of postprandial reactive hypoglycemia, particularly in mid-afternoons. For example, Holte and colleagues found that although insulin resistance in obese women with PCOS was reduced by weight loss to similar levels as BMI-matched controls, these patients continued to demonstrate an increased early insulin response to glucose, which could stimulate appetite and persistent weight gain (30). A change in eating patterns or habits or smoking cessation, more sedentary lifestyle, and depression and self-image distortion should also be sought. Snoring and daytime somnolence may be indicative of obstructive sleep apnea (see Section 2.1.5.). Finally, the use of medications that may be associated with weight gain or obesity, including glucocorticoids (systemic, topical, or inhaled), phe-nothiazines, tricyclic antidepressants, lithium, and valproate, should be elicited. The prevalence of sleep disorders, particularly sleep apnea, is high in women with PCOS (31,32). Its principal symptoms are a significant degree of snoring and daytime sleepiness (32). Sleep apnea is caused by repeated collapse of the pharynx airway during sleep, resulting in poor oxygen supply to the person involved. Its consequences include daytime sleepiness, reduced mental performance, and a subsequent effect on quality of life. Its incidence is 2-4% in normal men and women, and it has dangerous consequences, including the development of hypertension, heart attacks, and strokes (33). It usually is associated with obesity, and its prevalence is 3- to10-fold higher in men than in women; in fact, excess male hormones may be associated with the development of sleep apnea (34,35). The incidence of laboratory-proven sleep apnea was 4- to 30-fold higher in women with PCOS compared to normal controls (31,32). Although obesity, particularly android obesity, predisposes PCOS women to sleep apnea, this disturbance in PCOS does not appear to correlate strictly with body weight, and insulin resistance may be a major causative factor in its development (32). It is important to identify women with sleep apnea because of the plethora of associated metabolic and cardiovascular morbidities. Treatment of the sleep apnea syndrome with continuous positive airway pressure (CPAP) is associated with reduced insulin resistance in women (33). Unfortunately, 90% of women with sleep apnea remain undiagnosed, and a high degree of clinical suspicion is necessary to identify those women that may benefit from a formal sleep laboratory study (i.e., those who snore or awake frequently at night, those who have daytime somnolence and fatigue). The family history is an important tool in predicting PCOS in women, as the risk of PCOS when a first-degree relative is affected exceeds 30% (36,37). A history of menstrual irregularities, excess or unwanted hair growth, or polycystic ovaries, including the possibility that the mothers may have undergone an ovarian wedge resection in their youth, are suggestive of the diagnosis of PCOS. An increased incidence of premature balding (> 30 years of age) has also been noted in some male siblings of women with PCOS (38). Fig. 1. Hirsutism of the chin (left) and abdomen (right), also called male escutcheon. A family history of type 2 diabetes mellitus (DM) is more common in PCOS patients than in controls (39,40) and predicts glucose intolerance and DM in PCOS (41). A family history of dyslip-idemia, hypertension, and cardiovascular disease also occurs more frequently among PCOS patients (39,42). Finally, a family history of obesity may predict the development of obesity in the patient. Features of PCOS that may be elicited upon the physical exam include dermatological evidence of hyperandrogenism (hirsutism, acne, or alopecia), evidence of android body fat distribution, and evidence of metabolic dysfunction, including acanthosis and acrochordons. Clinical features of viriliza-tion or Cushing's syndrome are not seen in patients with PCOS, generally representing the presence of androgen-secreting neoplasms or Cushing's disease, and are discussed further in Chapters 6 and 7. Hirsutism is defined as the presence of terminal hairs in a male-like pattern in women (Fig. 1). Excessive hair growth is a major symptom in PCOS and is present in approximately 75% of women with PCOS, at least of white or black race (2,13,43,44). The sideburns of the face and chin areas are frequently involved. Other areas include anterior chest, midline abdominal area, and a triangular male-pattern pubic hair distribution in the lower abdomen. 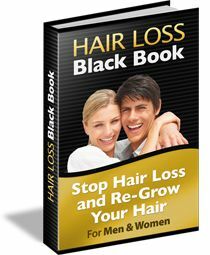 Increased hair growth may also be noted in the presacral and perineal areas and extremities. Frequently the onset of hirsutism, unlike acne, occurs several years after the onset of puberty (45). (50). These data support the concept that a wide variation exists in the population with regard to endorgan PSU sensitivity to the effects of elevated free T in hyperandrogenic women (46,49,51). Nonetheless, the measurable circulating androgen levels appear to play a limited role in determining the degree of hirsutism (50). Clinical assessment of the extent of hirsutism is generally based on the visual scoring method described by Ferriman and Gallwey in 1961 (52). A score from 0 (none) to 4 (maximum) was assigned to each of 11 body areas, based on the amount of terminal hair growth in each area. These investigators noted that only nine body areas were useful for detecting abnormal hair growth (i.e., upper lip, chin, chest, upper abdomen, lower abdomen or male escutcheon, upper back, lower back, upper arms, and thighs, but not the lower legs and arms). Because many hirsute women demonstrate hair growth primarily in the sideburn area, neck, or perineum, areas not scored by Ferriman and Gallwey, later classification systems have included evaluation of these body areas (53). A modified Ferriman-Gallwey score (mF-G; comprising the nine body areas denoted above) of 8 or more was observed in about 5% of reproductive-aged Caucasian women, who were then defined as being hirsute (54) (see Chapter 33, Fig. 1). However, we should note that a recent study of more than 600 unselected women indicates that an mF-G of 3 or more appears to signal the population of women whose hair growth falls out of the norm—similar in black and white women (55). These cutoff data are consistent with our report, noting that approximately 50% of women complaining of minimal unwanted hair growth (mF-G of 1-5) had PCOS (44). Acne is common among adolescent females, with a prevalence of 30-50% (56). Severe postadolescent acne, however, is uncommon among Caucasian women between the ages of 18 and 21, with a frequency of less than 1% (49). Between 20 and 40% of patients with treatment-resistant acne and without alopecia or hirsutism are reported to have androgen excess, principally PCOS (5759). Although acne may be the sole manifestation of androgen excess, the levels of plasma-free T in PCOS are similar in patients with or without acne (60). Hormonal evaluation is indicated if acne occurs before the age of 9 years, persists into the 20s or 30s, is resistant to conventional therapy, and recurs following one or several treatments with isotretinoin (61). Acne rosacea may be present and may at times be confused with acne. Rosacea is less androgen dependent than acne vulgaris and is characterized as areas of redness, soft tissue thickening, and telangiectasia over the perinasal areas, tip of nose, and chin (53). It is frequently associated with a prior history of blushing, easily associated with intermittent flushes. Consumption of heated drinks and alcohol worsens it. Many factors are involved in the development of acne (62). Acne is a manifestation of not only impaction and swelling of the PSU secondary to androgen effects, but also inflammatory changes in the follicular duct leading to increased sebum and keratin, which are released into the dermis. Inflammatory acne is characterized by erythematous papules, pustules, and nodular swellings that often lead to scarring (63). Diagnosis is made by the presence of open and closed comedones (blackheads and whiteheads), which are the primary lesions of acne. They present alone or more frequently in combination with pustules and erythematous papules in the face and upper trunk. Progression of acne is associated with lateral extension from localized areas over the lower third of the face with development of large inflammatory lesions typical of cystic acne. The grading of acne is usually based on the number, type, and distribution of acneic comedones (64) (Table 2). Scalp hair loss in hyperandrogenic women is a distressing complaint with significant psychological morbidity. It may reflect the response of the PSU to endogenous androgens and may be associated with concomitant acne and hirsutism. As noted earlier, the sensitivity of the PSU to androgens varies widely, and there is poor correlation between clinical features and circulating androgen levels (66,67). Mild Noninflammatory lesions (comedones) are most frequently found in association with pustules (<10). (10-40), predominantly on the face. Moderate-severe Numerous papules (40-100) and pustules (40-100), frequently with comedones (40-100), affecting the face and often the upper chest and back. Occasional larger nodular inflamed lesions (up to 5). Severe Nodulocystic acne with many painful nodules and pustules, most common on the chest and face. Many smaller papules, pustules, and comedones are also present. The presence of dihydrotestosterone, formed from the 5a-reduction of T in the dermal papilla, is associated with a higher 5a-reductase activity in the hairs plucked from a scalp presenting with androgenic alopecia (68). 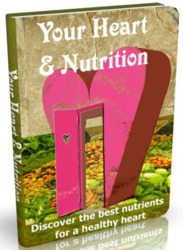 Associated etiologies of alopecia in any woman may be genetic, environmental, and nutritional (poor protein intake and iron, vitamin B12, or zinc deficiency). The presence of alopecia in PCOS appears to be common, even among young women. Androgen-related alopecia in women with PCOS often tends to be seen in the anterior mid-vertex area, starting as a "triangular" thinning patch with postero-lateral extension to the crown (Fig. 2). The anterior hairline generally remains intact in women with PCOS, and significant bitemporal scalp hair loss is unusual. Studies defining the incidence of alopecia in PCOS or androgenic disorders have been sparse. In a report of 109 consecutive premenopausal women whose presenting complaint was alopecia, the incidence of hyperandrogenism in 42 patients was 38.5% (69). This was compared to 24 control subjects with no PSU manifestations and no alopecia and normal pelvic ultrasonography. A diagnosis of PCOS was made in 40 women, 9 of who did not have hyperandrogenism at the time of presentation despite oligo-amenorrhea and bilaterally enlarged ovaries on ultrasonography. This represents a prevalence of 36.6% of PCOS in these women presenting with a chief complaint of alopecia. Scalp hair pattern findings were similar to those described by Ludwig (70), which denoted preservation of the anterior hairline with thinning of the crown. Another study of 89 women with androgenic alopecia revealed a 67% prevalence of polycystic ovaries compared with 27% of control subjects (71). However, no difference was found in the prevalance of menstrual irregularity between study and control groups (24 vs 15%). Correlation between the presence of alopecia and the presence or degree of hyperandrogenemia was also poor, probably secondary to the varying androgen sensitivity of the PSU. In epidemiological studies of women with PCOS, the prevalence of androgen alopecia varies widely. In one study of 257 hyperandrogenic patients undergoing treatment, most of whom had PCOS, only 12 (4.7%) presented with a complaint of hair loss (2). Alternatively, in the clinical experience of another of the authors, encompassing almost 2000 women with PCOS over a period of 35 years, the presence of alopecia was close to 50%, representing both anterior midvertex and diffuse hair loss (W. Futterweit, August 2005, personal communication). These data attest to the significant differences in symptomatology that can be observed in this very heterogeneous syndrome, depending on referral patterns and clinical interest. One must conclude that a finding of alopecia in any premenopausal woman warrants investigation for endocrine evidence of androgen excess. Because a loss of at least 25% of scalp hair is necessary before a woman becomes aware of thinning scalp hair (70), it is also clear that clinicians should heed patients who complain of hair loss, even though obvious loss or balding may not be apparent. Fig. 2. 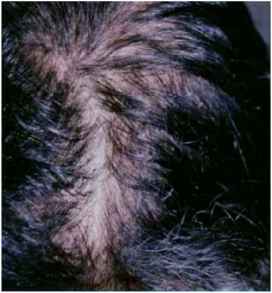 Androgenic alopecia demonstrating the triangular hair thinning observed in the anterior midvertex area with postero-lateral extension to the crown. Obesity is observed in up to 60% of patients with PCOS seen in the United States (2) but is less prevalent in other populations (72,73). Furthermore, other investigators have documented that obesity is less prevalent in adolescents with signs of PCOS compared with adults with PCOS in the same population (74,75). Consequently, it should not be expected that adolescents with PCOS would have the same degree of obesity as older affected patients. Visceral adiposity is frequently noted, with an increase of the waist-to-hip ratio greater than 88 cm (35 in. ), and is associated with a number of metabolic aberrations in PCOS, including higher degrees of hyperandrogenemia, insulin resistance, glucose intolerance, and dyslipidemia (76). 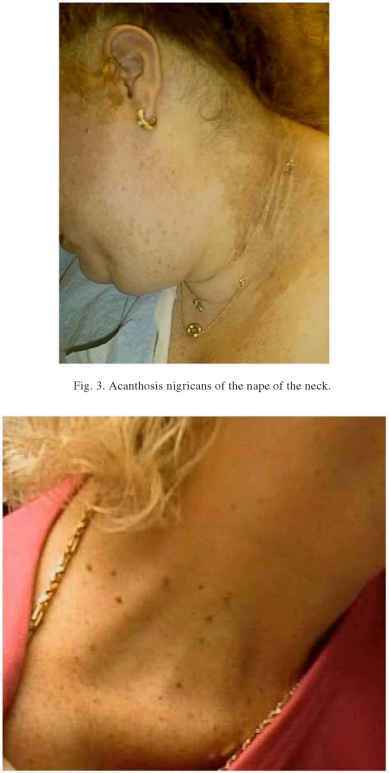 Although acanthosis nigricans (AN) can be a paraneoplastic cutaneous sign of malignancies, it is more commonly seen as a marker of hyperinsulinemia and the metabolic syndrome (77,78). It is often noted in the creases of the nape of the neck, axilla, groin, and other intertrigenous zones, as well as exposed areas such as the elbows and knuckles (Fig. 3). AN appears as a hyperpigmented, possibly hyperkeratotic area of the skin. It may occur in many insulin-resistant states, including obesity and PCOS. Acrochordons (skin tags) are soft, pedunculated, flesh-colored to tan papules, usually ranging from 1 to 5 mm in diameter, and commonly occurring in areas that are exposed to a high degree of friction, such as the sides of the neck and axillae (Fig. 4). They are generally noted in women over the age of 40 years, and their presence prior to that time is distinctly abnormal. In one small study, AN was present on clinical examination in 11 of 13 obese PCOS, 3 of 6 lean PCOS, 4 of 14 obese normal, and 0 of 4 lean normal women; histologically, AN was present in 13 of 13 obese PCOS, 5 of 6 lean PCOS, 13 of 14 obese normal, and 1 of 4 lean normal women (77). The severity of histological AN was most highly correlated with insulin-mediated glucose disposal rather than fasting or glucose-stimulated insulin levels. 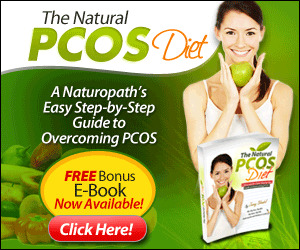 Overall, AN appears to be detectable in a large proportion of women with PCOS, although large-scale studies are lacking. In general, its presence and that of acrochordons reflects impairments in insulin sensitivity. Fig. 4. Acrochordons of the neck. Generally, the findings elicited by the medical history and physical exam provide the strongest suggestion that a patient suffers from PCOS. Clinical assessment of the hyperandrogenic woman requires a comprehensive evaluation of all signs and symptoms. Signs may be subtle but may yield clues as to the clinical presence of the insulin resistance syndrome and the frequent development of type 2 DM and possible cardiovascular disease. The role of the physician is to recognize the various presentations of this syndrome and not only to initiate treatment to minimize the reproductive and cosmetic features of PCOS, but to initiate appropriate treatment to minimize the associated risk factors leading to diabetes and cardiovascular events. Future investigation should focus on determining the clinical features of PCOS in the different ethnic/racial groups, including the prevalence and predictability of less common signs of PCOS, such as acne and androgenic alopecia. A greater degree of understanding of the predictive value of factors elicited during the medical history, particularly the predictability of symptoms suggestive of sleep apnea and the family history, remain to be established. The developmental features of PCOS, including sudden weight gain, need to be better established in a prospective fashion.